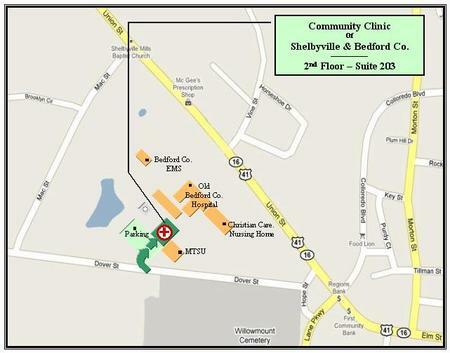 The Community Clinic of Shelbyville & Bedford County, Inc. is a free medical clinic providing limited health care for the working, uninsured, low- income adults of Bedford County, Tennessee. Since 2003, the Community Clinic has provided quality preventive healthcare which is essential to saving lives, reducing disability, and lowering costs for medical care. 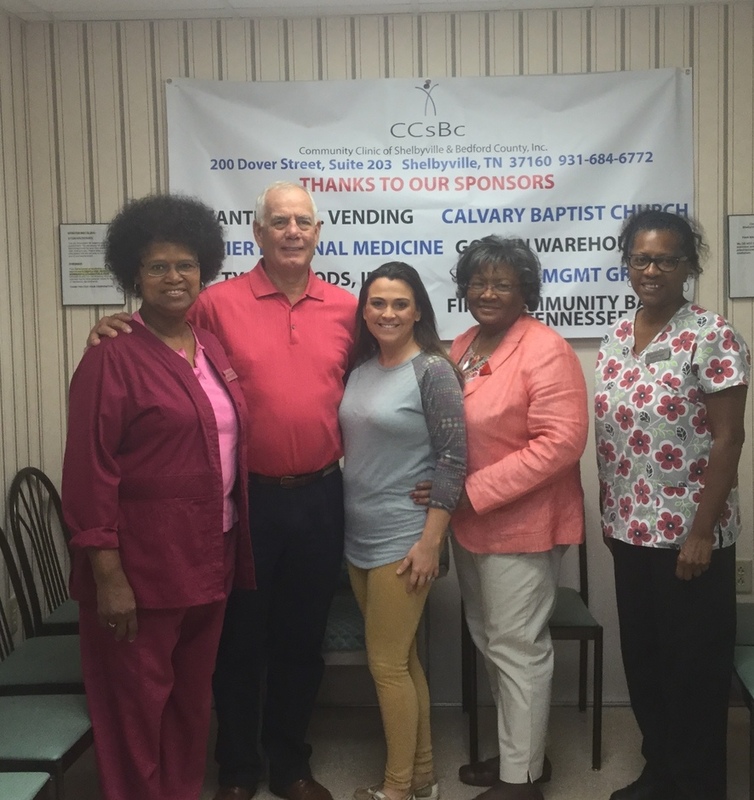 For FY 18, we were able to give 1,099 Bedford County patient visits in medical treatment. Lab tests and basic X-rays were preformed at reduced rates by the Tennova Healthcare-Shelbyville. Our clients receive prescriptions from the $4 list at our local pharmacies. Applicants are required to call for an appointment. Bring photo ID, any medical records you may have, proof of address (living in Bedford County) and proof of income (paycheck, paystubs, W-2 form, or last 1040 tax return form). Discount City of Shelbyville Parks & Recreation programs 25¢ for exercise and/or water activities. You must be 18 years of age. (proof of Bedford County residence, income, photo ID required for first visit). A Bedford County adult resident with at least one household member (self-employed or employed). Proof of employment must be provided.